I wanted to share a little blurb on what I’m currently reading. 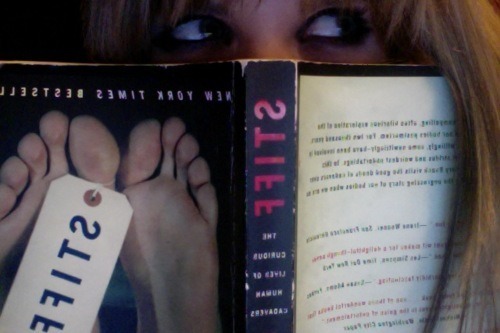 It’s a great way to open discussions on new topics and get to know some of you a little better … Right now, I’m finishing a book I’ve taken my sweet time reading called “Stiff” by Mary Roach. I really like the way she writes, it’s extremely dark in humor and a bit of underlying sarcasm … but very blunt. I have yet to reach the end of it, hopefully by the end of the night. Now you know a little about my weirdness in interest … has anyone read this book?